Klein’s classiest novelty! 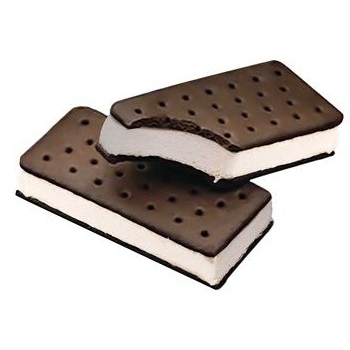 The friendship of Vanilla and Chocolate wafers is ever so close in this Sandwich Ice Cream! Stock your freezer well with these Sandwiches- Kids and adults alike will glee with delight!